So, these components were resawn from a few lumps (approximately 2in thick) that were left over from the chair seat I carved in 2010. Some of the grain was all over the place and, at only 16mm thick (finished size), I wanted to try and get the cleanest cuts as possible. My standard mitre saw blade has 60t, covering a diameter of around 10in (it’s either 250mm or 260mm). 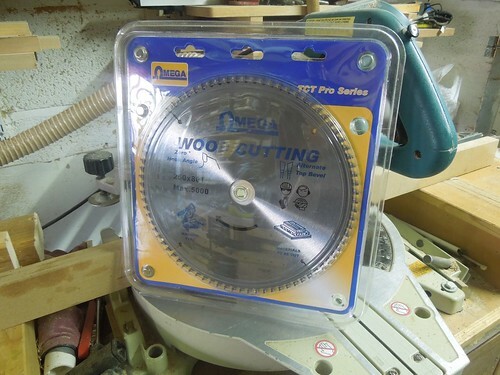 This works fine for most work but I really wanted to try an 80t blade, without spending a small fortune on a blade that may only receive limited (you don’t really want to use an 80t blade for general cross-cutting, unless it’s at least twice the diameter of my saw). 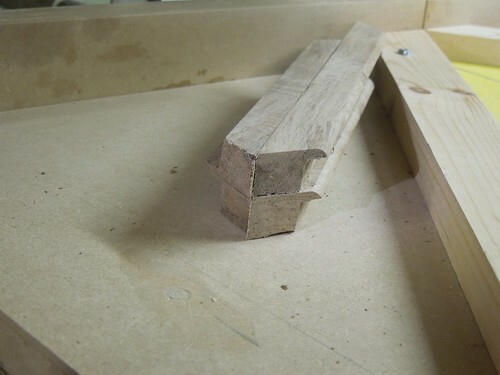 Cutting mitres in a jig. 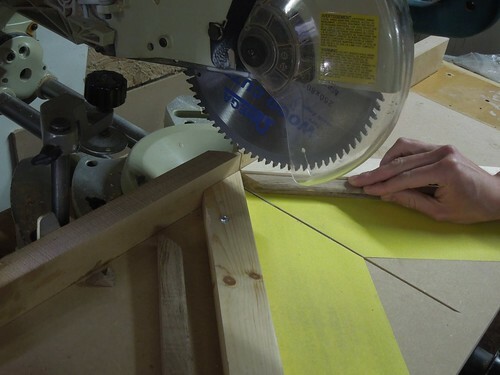 Having tried a few cheaper brands on a previous table saw in the past (Dart, being the brand name), I wanted to try and ‘step up’ from my previous budget, without stretching beyond reasonable limits towards the likes of Atkinson-Walker. 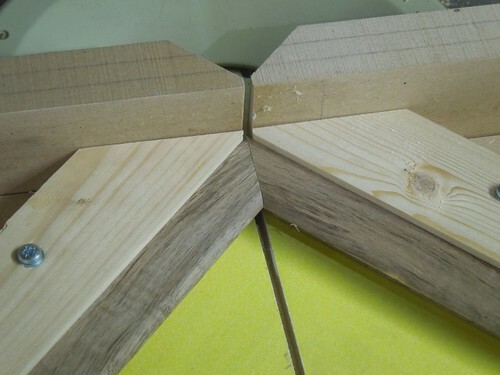 A perfect jig creates a perfect mitre joint. 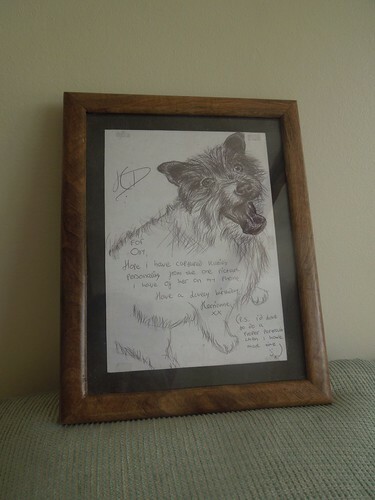 I ordered it from a local tool shop in Bristol and it arrived next day. Using the jig made it easy for me to get a perfect 90° joint without having to worry about any errors between the two 45° stops on the turntable of my saw. Clean cut on end-grain walnut. 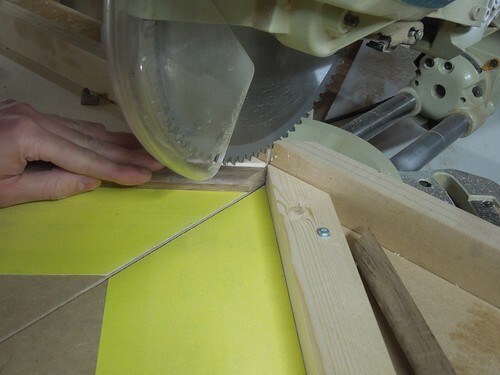 This might make more sense when you see and hear it in the video but, as the blade is cutting, it ‘sounds’ more like a dado blade than your average circular saw blade… It feels substantial in use; assured in its resistance to flexing. I was also cutting with 20 extra teeth on this blade so, it was bound to be a bit different. The last time I owned an 80t blade was when I had a 12in mitre saw but, I don’t think I used that blade more than once (hence, why I was reluctant to spend too much here). Straight off the saw (and in to the clamps)! Hopefully, you can see that the blade did leave a clean cut on the end-grain. This walnut does have some pretty ‘gnarly’ grain on it, with some running perpendicular to the length. 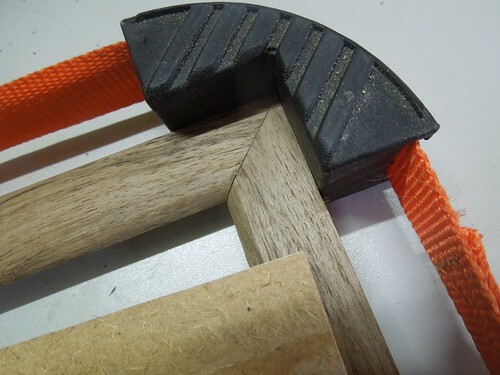 Had I used a proper spelch block or sacrificial fence behind the cut then, I could’ve almost certainly prevented most of that breakout and chipping (a potential hazard of rounding-over edges before cutting to length).